John Marotta joined QuadReal as Senior Vice President, Development in February 2017. He focuses on all aspects of development, design, entitlement and construction, and is responsible for a wide range of projects in the Eastern Canadian region. John brings almost 30 years of industry-leading office, industrial and multi-family residential development experience to the QuadReal leadership team. 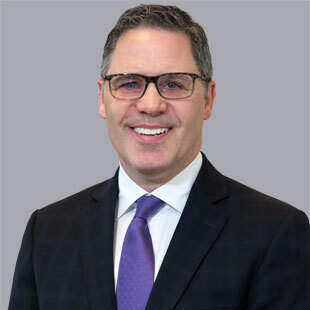 He was formerly the Senior Vice President, Development, Eastern Canada for Bentall Kennedy, where he was responsible for the acquisition, design, entitlement and construction of various multi-family high rise and mixed-use projects. Previously, he held senior leasing and development positions with Paul’s Properties Corporation and CIBC Development Corporation. John holds an Honours Degree in Urban Development from The University of Western Ontario, and is a past President of NAIOP Calgary. John is excited to share his experience in and passion for the industry with his colleagues and team members to build a portfolio of enduring quality and distinction for QuadReal’s stakeholders.